Welcome! I’m glad you’re stopping by. I want to encourage you and inspire you and cheer you on as you follow your dreams of being a children’s writer. I’ve written a book. It’s called Yes! 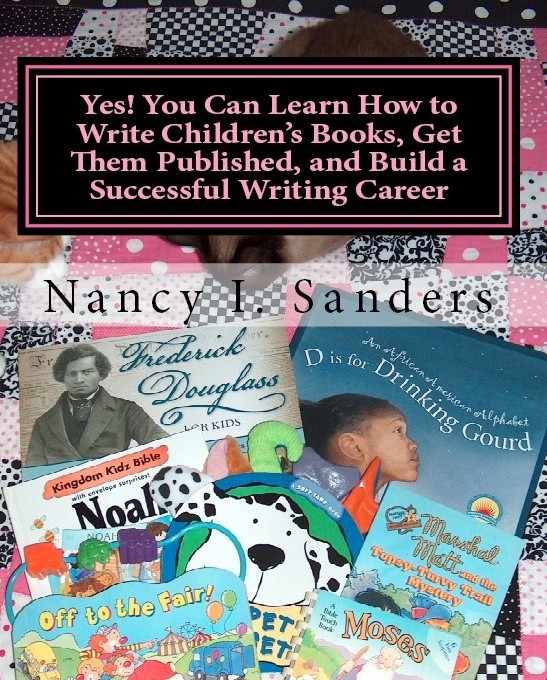 You Can Learn How to Write Children’s Books, Get Them Published, and Build a Successful Writing Career. Here’s the new and revised cover that features a pink and white quilt I made, my two cats (can you see them?) and some of the books I’ve written. If one can, anyone can. If two can, you can, too! You see, the strategies I write about in my book are tried and true. I’ve used them over the years and built a successful career as a children’s writer. I started out knowing nothing about the world of writing for children, so if I can get published in this competitive market, I’m confident that anyone can. However, I’m not the only one I know who uses many of these techniques and step-by-step methods. People in my critique groups do. I know professional writers who do. So if two or more people can follow these steps to experience success as a children’s writer, you can, too! I hope you enjoy your visit to my site. Explore the pages. Watch the YouTube video. Read what others are saying about how this book is changing their lives as writers. And then, get the book. Get your whole critique group to get the book. Get your writing students to get the book. It’s available at the CreateSpace e-store. Or you can order it in at your favorite bookstore. Your life as a children’s writer will never be the same. To read a book review someone posted about my book, visit BellaOnline. To see what others are saying about my book, visit Testimonies. The second book I’ve written for children’s writers is now available for you and your writing buddies. Whether you want to write beginning readers for the trade book market, the educational market, the ESL market, or for magazines, Yes! You Can Learn How to Write Beginning Readers and Chapter Books is chock full of everything you need to succeed. Based on my years of experience writing over 400 beginning reader stories for markets such as Scholastic Teaching Resources, you’ll find practical strategies, writing exercises, and encouraging tips to move forward in your writing career.